Fig 1 from Bashir et al. Acute tubular necrosis (ATN) is a common cause of acute kidney injury. In cases where the patient presents from home, the cause of ATN is determined by analysis of the patient’s signs and symptoms at presentation as well as the history of exposure to nephrotoxins. In some cases the renal diagnosis is clear (ATN), but the underlying cause may remain elusive. In these circumstances, it is hypothesized to be related to volume depletion or other insults. Bashir et al report a case of AKI due to ATN following repeated exposure to a pyrethroid-based insecticide used to treat bedbugs. The case is also notable for the presence of profound hypokalemia with associated creatine kinase elevation. Kidney biopsy findings confirmed the clinical diagnosis of ATN, including epithelial vacuolization consistent with a toxic cause of ATN. The patient also experienced signs and symptoms of a systemic illness temporally related to each exposure, lending more support to the relationship between the insecticide and the ATN. 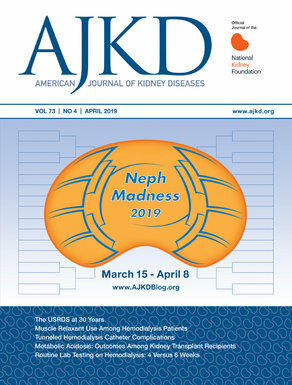 This case highlights the importance of thorough history-taking including potential exposure to nephrotoxins in the evaluation of patients presenting with AKI. Although the pesticide in this case was not previously known to cause kidney injury, the exposure was to much higher levels than would be typically expected with appropriate use. The coexisting electrolyte abnormalities also suggest an interesting pattern of injury to the tubular epithelial cells. Others should be inspired by Bashir et al to investigate thoroughly when encountering patients with an apparent clinical diagnosis of ATN where features are atypical or otherwise inconsistent with the usual presenting signs and symptoms.